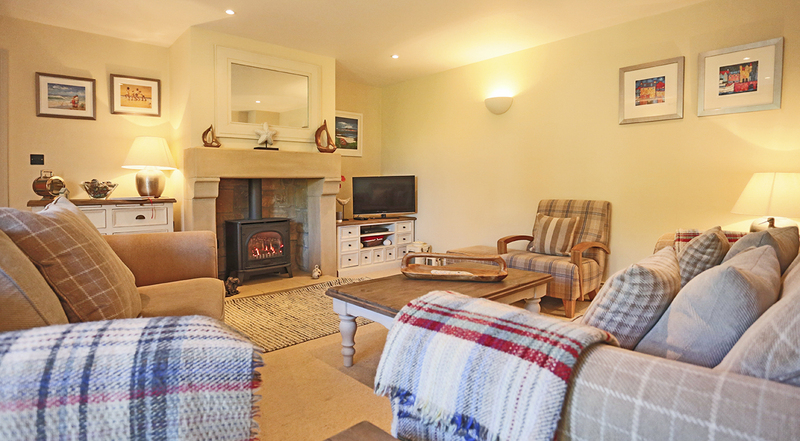 This warm and welcoming cottage feels like a home away from home, with a few extra luxuries! 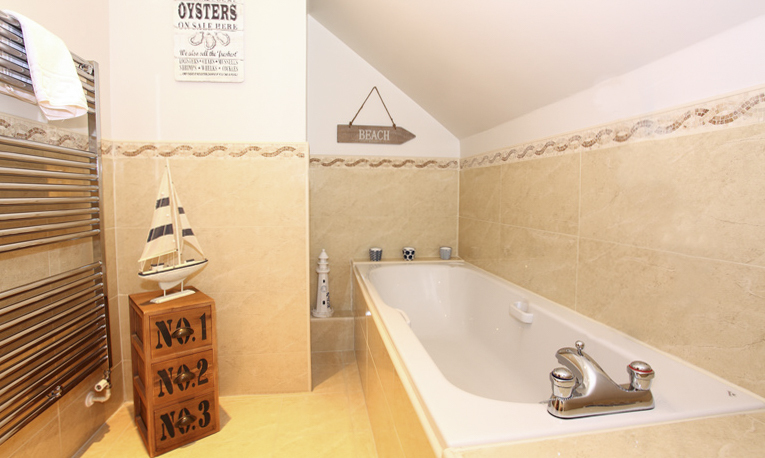 Seahouses Cottage is located near the picturesque seaside village of Seahouses, just a short walk from the popular St. Aiden’s beach. 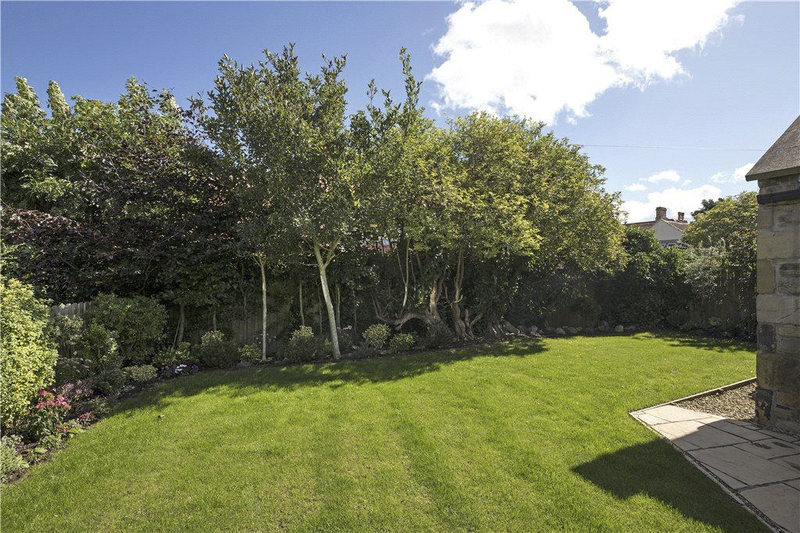 Boasting four spacious bedrooms, beautiful living areas and a lovely enclosed garden with a luxurious hot tub, this is the perfect place for you and your family to spend some quality time together. As you step inside, the atmosphere is calm and relaxed, making it easy to settle in and make yourself at home. 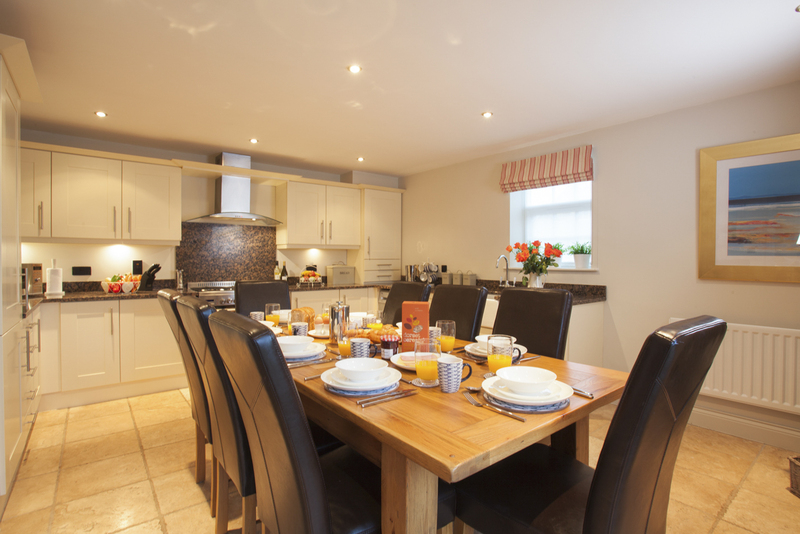 With modern, warm furnishings, the cottage offers a careful blend of comfort and style. On the ground floor, the lounge provides a perfect space for the whole group to spend time together. The comfy sofas are arranged around a fabulous wood-burning stove, creating the feel of a cosy retreat away, the perfect escape from your busy day-to-day lives. There is also a snug, fitted with a flat screen HD TV, DVD player, Amazon FireStick, PlayStation 3 games console and a selection of books, DVD’s and games for all ages! The snug works as a space for children to enjoy their own privacy, whilst adults relish some peace and quiet in the lounge! There is also a spacious, open-plan kitchen and dining room, equipped with everything you need to whip up some fabulous family meals. 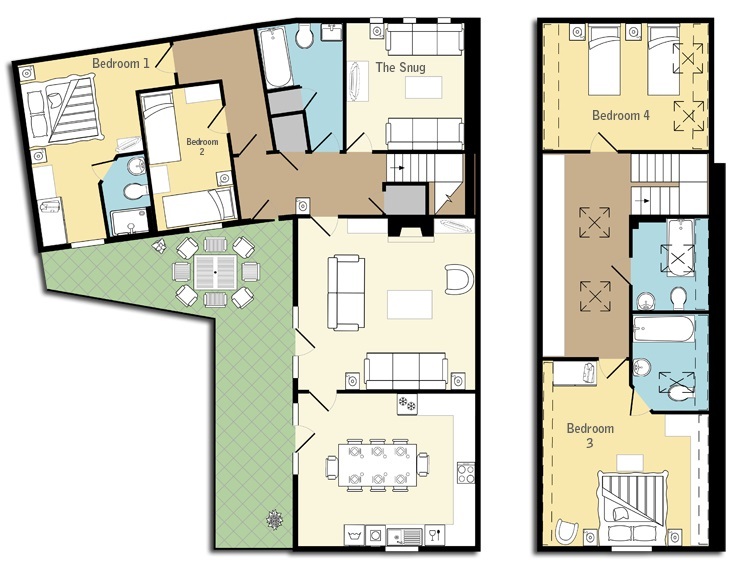 Also, on the ground floor, you will find two bedrooms, a Master suite and a twin room, alongside a family bathroom. The remaining bedrooms can be found on the first floor, with lovely views over the garden. There is a second Master suite, a further twin room and a second family bathroom. On the landing, a cosy ‘chill-out’ area has been designed for kids, offering comfy floor cushions, surrounded by toys, games and books! The enclosed garden becomes a private sanctuary, where you can sit back and relax! 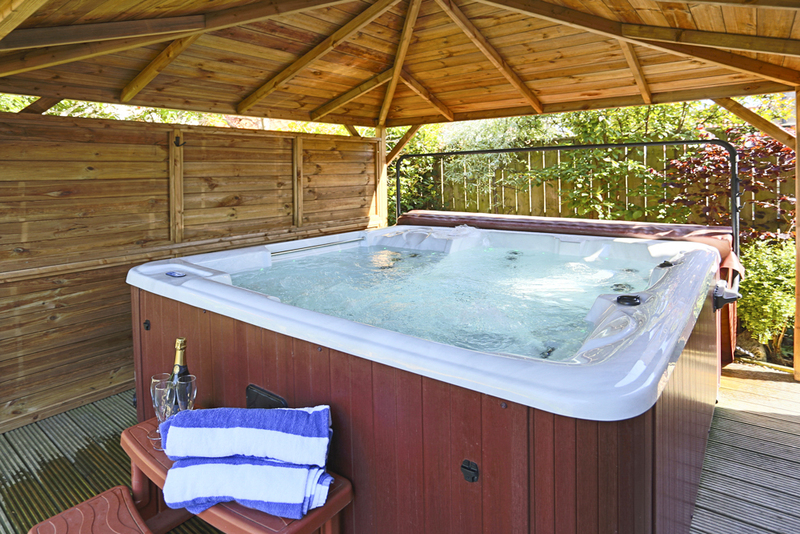 The luxury hot tub is always popular, ideal for soothing your muscles and letting any last worries melt away, a real treat! 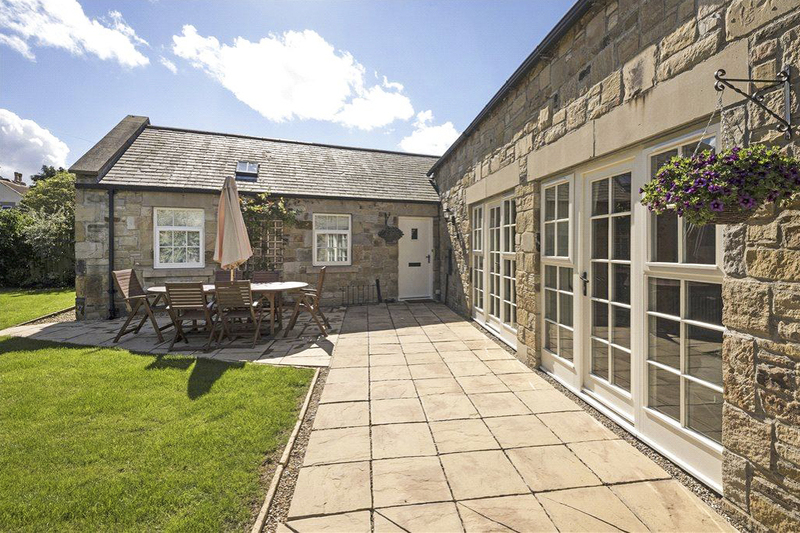 Seahouses Cottage is located within walking distance of St. Aiden’s beach and the popular seaside village of Seahouses. This picturesque village is filled with bustling shops and restaurants, perfect for exploring as a family. In true British style, visitors often like to enjoy some local fish and chips whilst strolling around the beautiful harbour! The harbour itself includes a famous, historic Inn, called ‘The Olde Ship Inn’, definitely worth a visit during your trip! On rainy days, The Ocean Club at Seahouses is great for adults and children alike, with use of the spa and leisure facilities. 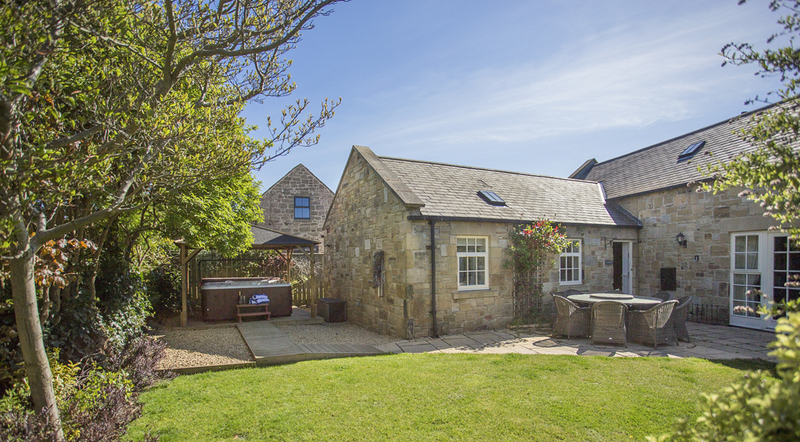 This fabulous location is perfect for exploring all that Northumberland has to offer, with Bamburgh just a five-minute drive away, Alnwick, Holy Island and The Borders nearby. From Seahouses itself, you can take trips to the beautiful Farne Islands, where vast colonies of seals, puffins and other seabirds can be seen up close, this is always a popular trip, particularly for families. 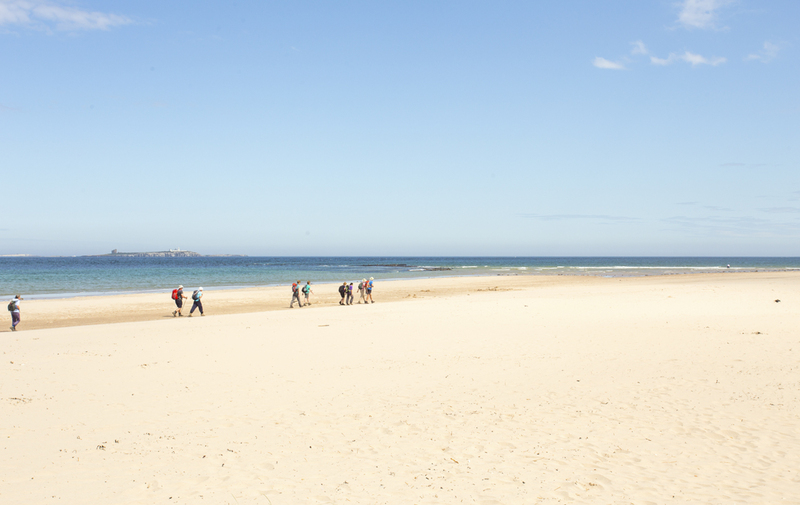 If you are looking to explore the coastline, make sure you take a trip up to Bamburgh, where a mile of uninterrupted sand and dunes sits between Budle Bay and Beadnell, with gorgeous views of Bamburgh Castle across the beach.